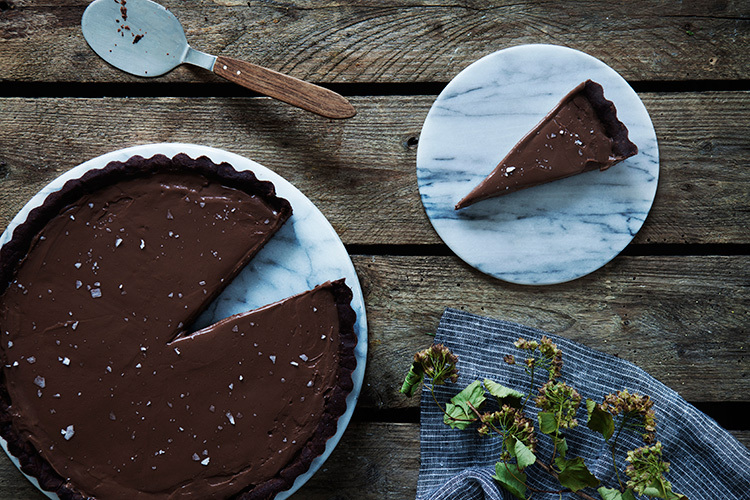 This is no ordinary Chocolate Pie! It is a Chocolate Pie for serious Chocolate Lovers and the subtle smokiness of the bourbon takes it to a whole ‘nother level. 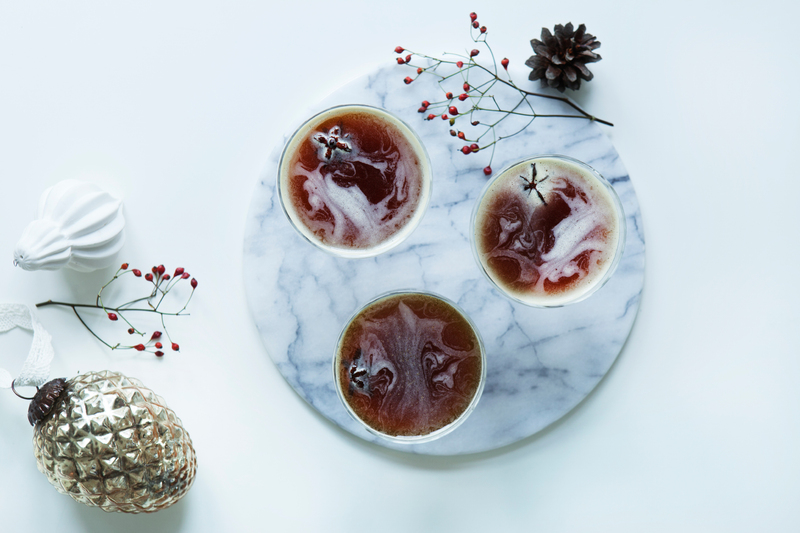 Imagine having a bite of quality dark chocolate and taking a sip of delicious dessert wine at the same time – that is exactly how this Chocolate Pie tastes like. 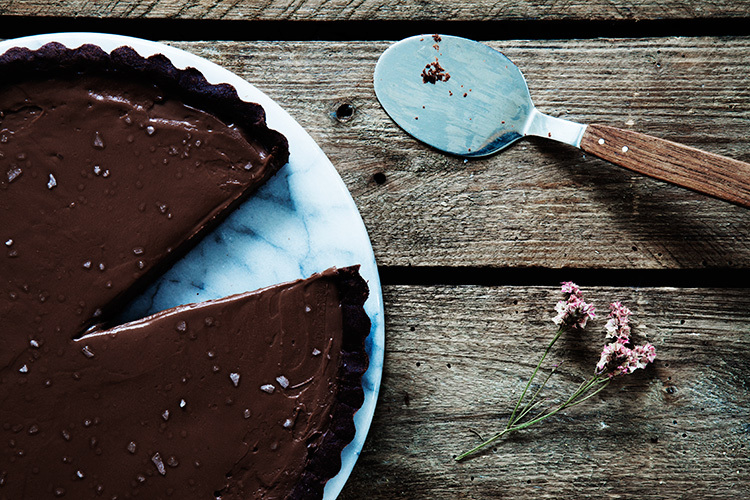 This Chocolate Pie Recipe is a little time consuming, so get cracking! Pie is not just a Pie, but a symbol of a warm and loving home. The smell of freshly baked pie can turn a bad day into a good one and one bite will definitely bring a smile to your face. From the greeks the pie culture traveled to Europe and around 1650 from England to the United States, but that is the year when Pumpkin Pie first appeared in a cookbook. But still it was not until the early 19th century that Pie became popular among the general public in North America. When I bake with chocolate I always use the real thing and most of the time I use 70% chocolate. Today I went all in and used the Organic and Environment friendly Panama 80% chocolate from Chocolate and Love. A super rich and flavorful chocolate with lovely texture. If you don’t feel like having both chocolate crust and chocolate filling, you can easily use regular pie crust or maybe even go the nutty way and make a raw bottom layer. Serve with a scoop of ice-cream or whipped cream. Transfer dough to pie dish, pressing gently onto bottom and up the sides. Chill for 30 minutes.